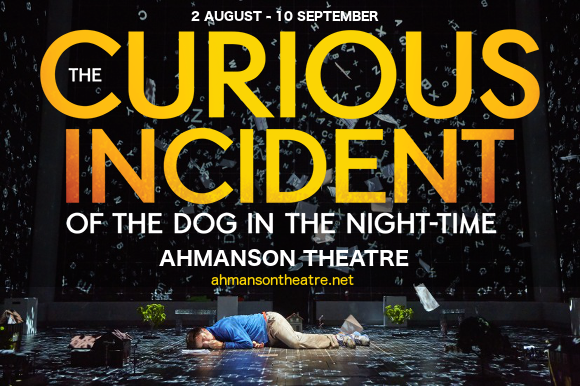 From the award-winning playwright Simon Stephens comes one of the most remarkable feats in recent theatrical history – The Curious Incident Of The Dog In The Night-Time. 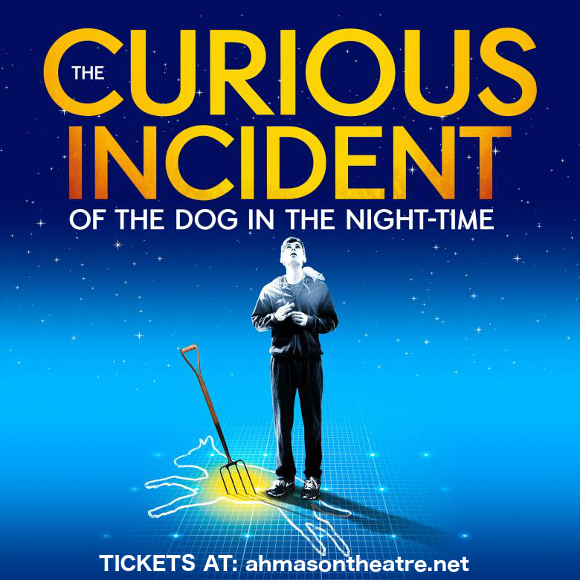 Based on the well-known book of the same name by Mark Haddon, this play combines the strange and the surreal to deliver some truths that have resonated with audiences worldwide. Make sure you get your tickets early as tickets to this show will sell out!! Premiering in August 2012 in the Cottesloe Theatre in London before transferring to the Apollo Theatre in the West End in 2013, the play won 7 Oliver Awards, including for Best New Play, equalling the record set by Matilda. The Broadway production opened in 2014 and went on to receive a further series of awards in 2015, the Outer Critics Circle Award Outstanding New Broadway Play, the Drama Desk Award for Outstanding Play, the Drama League Award for Outstanding Production of a Broadway or Off-Broadway Play, and the Tony Award for Best Play!! 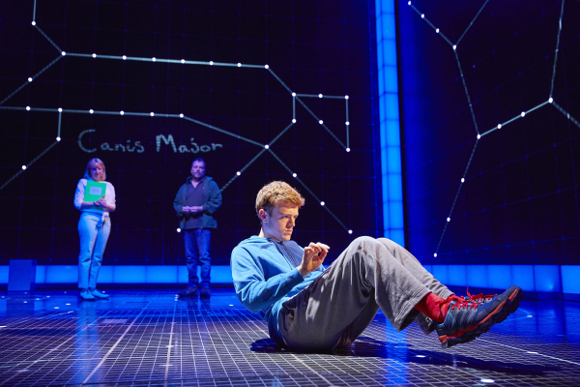 The hype is well-deserved – The Curious Incident Of The Dog In The Night-Time pays perfect homage to the already starkly unusual nature and delivery of the novel by being equally unusual. Telling the story of Christopher John Francis Boone, the 15-year old autistic mathemetician, who, upon finding his neighbour’s dog dead in the yard, sets about solving the mystery of who killed it, the onstage adaption of the novel brings Christoher’s mindset and thought processes to life onstage in new and unexpected ways. The play utilises state-of-the-art lights and staging to construct something like a virtual reality that takes audiences right inside Christopher’s highly logical mind, whilst never drowning plot or character, as is only too often done, under special effects. Far from it – the play wholeheartedly and unflinchingly embraces the directness and honesty that made the novel so unique. Viewers can expect to see what is nothing other less than a masterpiece – a theatrical experience that will immerse you totally in a mind that is not your own. 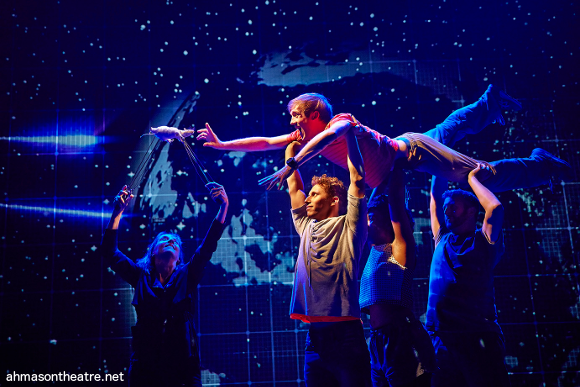 As beautifully strange as it is affecting, The Curious Incident Of The Dog In The Night-Time is truly unmissable. Book early to be sure of your seats!